Pablo Picasso said it: "Every child is an artist. The problem is how to remain an artist once we grow up". This week I realised once more that Picasso is more than right: there is an artist in every child. 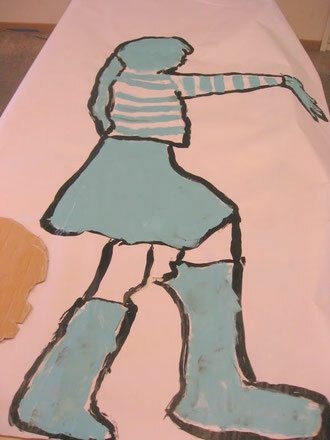 This week I worked together with 7 and 8 year old children during their "creativity day". During this yearly event the schools invite an artist to work with the children in a creative way. Every year it's one of the days I'm looking forward to: work with children, prove them how creative they are. This year I referred to Roger Raveel's work and let the children work with paper, cardboard, tape, pencils and 2 colours (blue and black). The results were great! Have a look, what a wonderful day!